You may not think that metal garage doors can add to a home’s appearance, but after you lay eyes on the ones available at 31-W Insulation, we’re certain you’ll think differently. We have a plethora of customization options for our garage doors, and you’re sure to find a combination that looks nothing short of fantastic for your home in the Cincinnati, Ohio, area. Some of these options include eye-catching colors and woodgrain finishes, stylish decorative hardware, and various window panel shapes and sizes. One of our friendly associates will review these options with you during a free in-home design consultation and make recommendations based on you aesthetic preferences. After you’ve made your selection, we’ll order your garage door and a team of our factory-trained professionals will install it with flawless precision. What’s more, you can trust that your door will last for many years to come because it’s manufactured by the industry leader Armarr®. Your garage door will have a durable steel construction that requires minimal maintenance, and it will have a high-wind load design for protection against Mother Nature’s harshest weather. 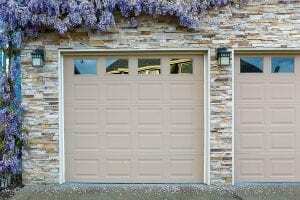 These garage doors also come standard with many safety features that will help prevent your hands from getting pinched and will prevent the door from malfunctioning when opening and closing. And, for additional peace of mind, the door comes backed by a generous manufacturer warranty. If you would like to schedule your free consultation at your Cincinnati, OH, area residence and learn more about what our metal garage doors have to offer, contact 31-W Insulation today.